Last year I wrote two completely different books. The first, called People Aren’t Robots, is a practical guide to questionnaire design. 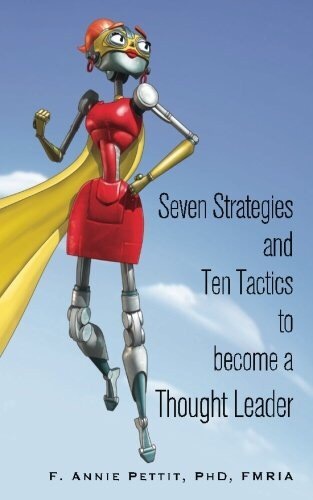 The second book details strategies and tactics for becoming a thought leader. As I said, two completely unrelated books. But as I pondered about those books in general terms, I realized they actually have a lot in common. Both books devote much content towards treating others as real people – flawed, subjective, emotional human beings. In the world of questionnaire design, this means realizing that people want to help by answering questions even when researchers think they don’t ‘qualify.’ That people want to help researchers by finding the best answer even when no answers are correct. That people want to finish questionnaires even when those questionnaires are painfully long, confusing, and boring. It means that researchers need to rethink how they write questionnaires so that the human on the other side is treated with respect rather than as a source of data. In the world of thought leadership, it means letting employees talk to clients in their own voice, without formal language, and without trademarked terms. It means letting employees share their personalities and interests when they chat with customers online so that they become genuine friends. It means that employers need to trust their employees to relate to others in the online world as people, not logos. My wish for 2017 is simple. I wish that people would stop engaging with other people. Stop communicating, stop connecting, stop broadcasting. Instead, let’s chat. Let’s noodle over ideas. Let’s ponder and debate and talk. Let’s prattle on and yak and gab. Let’s drop the formalities of standard social media connections and business conversations and start behaving like genuine human beings with faces and names. People who share silly jokes and terrific research design tips, funny cartoons and cool SQL code bits. Not only is it more natural, it’s good for business. Think about some of the customer service experiences that have gone viral. This Netflix agent who pretended to be a Star Trek captain (http://www.huffingtonpost.com/2013/10/31/netflix-customer-service_n_4178662.html) or this Amazon agent pretending to be Thor ( https://www.joe.ie/movies-tv/great-odins-raven-amazon-customer-service-agent-pretends-hes-thor-and-its-fantastic/459458). Of course, this isn’t a call for everyone to start pretending to be superheroes and cartoon characters. It is, however, a call to let the inner geek and nerd out of the box. Let the inner human out. Annie Pettit, PhD, FMRIA is a research methodologist who specializes in survey design and analysis, data quality, and innovative methods. She is the author of People Aren’t Robots: A practical guide to the technique and psychology of questionnaire design as well as 7 Strategies and 10 Tactics to Become a Thought Leader, available on Amazon. I’ve been busy writing again! 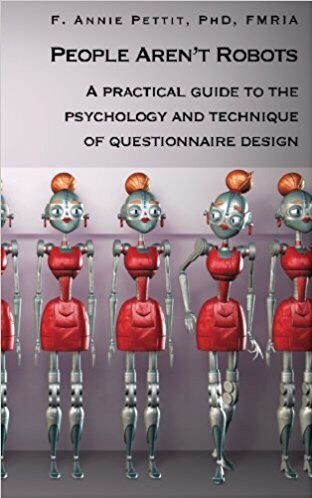 People Aren’t Robots: A practical guide to the psychology and technique of questionnaire is the best 2 bucks you’ll ever spend! Seductive smelling, spine cracking 60 page paper copies on Amazon and CreateSpace. Questionnaire design is easy until you find yourself troubled with horrid data quality. The problem, as with most things, is that there is an art and science to designing a good quality and effective questionnaire and a bit of guidance is necessary. This book will give you that guidance in a short, easy to read, and easy to follow format. But how is it different from all the other questionnaire design books out there? It gives practical advice from someone who has witnessed more than fifteen years of good and poor choices that experienced and inexperienced questionnaire writers make. Yes, even academic, professional researchers make plenty of poor questionnaire design choices. It outlines how to design questions while keeping in mind that people are fallible, subjective, and emotional human beings. Not robots. It’s about time someone did this, don’t you think? This book was written for marketers, brand managers, and advertising executives who may have less experience in the research industry. It was also written to help academic and social researchers write questionnaires that are better suited for the general population, particularly when using research panels and customer lists. Congrats, Annie! A engagingly written and succinct book, with lots of great tips! Congratulations! It’s a joy watching and learning from your many industry efforts. The stars have aligned to delay the implementation of my 2015 plan. I’m sorry Python and Rstats, you just got put on the back burner. I am thrilled, however, to say that Python has to wait because I will be working with Chuck and Ken on a marketing research textbook. What’s so great about this book? Lots! It shares both the theory of how marketing research should be conducted as well as how marketing research is <em>actually</em> conducted. Did you learn about box scores in college? I doubt it. Did you know about 300 page data tables in college? I doubt it. It is written by renowned statisticians (that would be Chuck and Ken) who practice in the real world of business. Where clients have unending demands, deadlines that passed a week ago, and research objectives that change on a daily basis. It reflects how how our industry works <em>today</em>. With online surveys, non-probability sampling, and punch cards. Wait. Nope. No punch cards. Keep your eyes and ears peeled in the coming months as more information becomes available! In the meantime, come along for the ride on our Facebook page. What #MRX software should you learn? For the musicians among us, let’s celebrate the launch of “Social Media in Social Research: Blogs on Blurring the Boundaries” edited by Kandy Woodfield with a little song. Please enjoy this slight adjustment to Peter Gabriel’s song. I couldn’t help myself! If you take a video of yourself playing the song, I’ll post it here for everyone to enjoy. And if you’re lucky (unlucky? ), I might post one of myself playing the ukulele. On Wednesday October 29, 2014, a brand new book is being released including a chapter by moi! 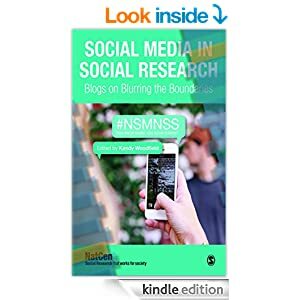 It’s called “Social Media in Social Research: Blogs on Blurring the Boundaries” and it’s edited by Kandy Woodfield who is the Learning and Enterprise Director at NatCen Social Research, and the co-founder of the NSMNSS network. Buy the book on Amazon and leave a review! Our forthcoming book of blogs is our members take on what that changing methodological world feels like to them, it’s about where the boundaries are blurring between disciplines and methods, roles and realities. It is not a peer reviewed collection and it’s not meant to be used as a text book, what we hope it offers is a series of challenging, interesting, topical perspectives on how social research is adapting, or not, in the face of huge technological and social change. You can join us for the virtual launch by following the tweets here or the blog posts here. I won’t be able to attend the launch but you just might catch me in a quick video. I’ll see you there virtually! Are you fresh out of school? Full of book knowledge but short on practical knowledge? Then this book is for you! Join the book launch on May 22nd here! 10 Answers to Contemporary Market Research Questions provides new entrants to market research with a first point of reference in a fast changing industry. In market research, there are some key concepts, ideas, and pieces of knowledge that even the newest researcher (or a researcher new to a topic) should have at their fingertips. The 10 Answers to Contemporary Market Research Questions aims to present those key items as a set of questions and answers. While its not a manual of how to conduct research, it does provide nuggets of information that will enable new (and sometimes older) researchers to orientate themselves, and avoid walking into too many of the traps that the changing world of market research can create.market research, there are some key concepts, ideas, and pieces of knowledge that even the newest researcher (or a researcher new to a topic) should have at their fingertips. The book has been created through the voluntary and collaborative efforts of a team of people brought together by ESOMAR to generate this resource as part of the celebration of its 65th year. The project curators are Finn Raben, director general of esomar, Sue York, chief curator of Newmr, and Ray Poynter, Director of Vision Critical University, Vision Critical. Suz Allen, Sven Arn, Reg Baker, Susan Bell, Pete Cape, Alison Dexter, Dirk Huisman, Nasir Khan, Kathryn Korostoff, Phyllis Macfarlane, Omar Mahmoud, Bernie Malinoff, Katie O’Connor, Stephen Paton, Annie Pettit, Pravin Shekar, Anouk Willems and Tom Wilms. The editors are Ray Poynter and Sue York. You have made an excellent decision which will generate almost no income, leave you without more letters to attach to the end of your name, and will take up hours upon hours of your valuable spare time. All depressing facts aside, there are many good things about writing a book. First of all, and most importantly, writing a book will force your to think through your opinions very carefully, consider the pros and cons of your arguments, and address all the points that you normally avoid because they simply get your goat. Writing a book helps you clarify your thoughts and discover what you do and don’t know. It’s a great learning tool that can’t be replaced by reading blogs or taking a class. A nice bonus to writing a book is that it helps you improve your writing skills. I, for one, did not realize there were a few words that I overused like some people overuse ‘um’ when they’re talking. I just have a terrible habit of just inserting the word just every time it just seems like the right place to just insert the word. I also seem to really overuse words that really don’t need an extra word to really make the point. Really, truly, completely, totally, terribly, and other similar ly words don’t make your point more precise. They make your point longer. After reading a few books on how to write a book, I was able to spot many weaknesses in my writing. And I keep finding them. And improving my writing. Finally, writing a book gives you a great sense of accomplishment. You can hold the finished product in your hands at the end of the day and know that you did that. And that’s pretty cool. So back to depressing part. If you want to write a book, be prepared to spend hundreds of hours at your laptop while other people are biking and hiking and skiing and playing hockey. Be prepared to write even when you have a massive case of writer’s block. Be prepared for people to ask are you done yet after you deleted ten pages of horrid garbage. The depressing part is what made me dump the formal text book style of my book and start over again with what would eventually become The Listen Lady novel. It was definitely a non-standard choice and I figured if my book was boring me, it would certainly bore everyone else. So as you sit down and decide that now is the right time for you to write a book, consider this. It doesn’t HAVE to be a text book. It doesn’t HAVE to be 400 pages long. It doesn’t HAVE to be written with formal language. If your book is 10 chapters and 100 examples of behavioural economics, then so be it. If your book is a 50 page sonnet about mobile research, then so be it. You need to love your book and if that means you write a non-standard book, then so be it. Apparently, you can tell a lot about a book just by looking at its cover. If that’s so true, then let’s have a look at the books on my bookshelf and see if they say anything about me. On the top shelf, we have a few books by my favourite author, W.O. Mitchel (Who Has Seen the Wind), a few books that were dear to me in my childhood (A Little Princess, Velveteen Rabbit), and a number of books that were passed down through my family (Ontario Public School Hygiene, 1919 – which, by the way, highly recommends bathing at least once per week). The next shelf contains every Oliver Sacks book (except the new one that is coming out in a couple weeks), every book from the Best American Science Writing series (except most of them which are sitting in a stack being reread for the fiftieth time by my bed), and a number of Steven Gould and Jay Ingram science books. The next shelf, which is actually missing from this image, is all cookbooks. Much of the Companies Coming series, and various other bread, cookies, muffins, sweets recipe books. Because one book specializing in cookies is simply insufficient. Then we come to another shelf completely full of cookbooks. These ones are nonstandard sizes, and not part of any series. There are a few main course books here but I can guarantee you I didn’t buy those. The emphasis remains, shockingly, on things with sugar. The last two shelves reflect one topic – gardening. There are lots of specialty books – ponds, shade, small gardens, bog gardens, succulents, xeroscaping. There are also a number of big fat heavy comprehensive books to cover everything that just might not be covered in the other gardening books. And that’s just bookshelf #1. You may have seen The Listen Lady on Amazon, Kindle, and even in the iBookstore but did you know I self-published it? Not only did I write it, I came up with the title, I wrote the description on the back cover, I provided the cover artwork, and I formatted the entire book right down to the copyright page, the placement of the page numbers, and the fonts. It wasn’t particularly fun and exciting but I did it. If you’re comparing the cost and timelines of bringing a book to market, the only option is the self-publishing option (unless you’re independently wealthy). It seems that there are a lot of writers out there and I’ve gotten a lot of questions about what exactly I did. So here are the most commonly asked questions and answers. How much did it cost? Zero. What’s the best website to do this? Run, do not walk, directly to Createspace.com and sign up for an account. It is free and has every feature you need. When you’ve finished doing what Createspace tells you to do, your book will be available for purchase on Amazon.com in both paper format and electronic format. How long does it take them to approve your book and put it up for sale? As long as it takes you to click on “Publish my book.” Perhaps, 100 milliseconds. How do I get my book on Kindle? Follow all of the steps that Createspace outlines for you and get your book on Amazon. Once that’s done, you just need to check the box to say put it on Kindle. How do I get my book on iBookstore? Same deal. It’s just a button click to “Send my book to the iBookstore.” BUT, the iBookstore is extremely picky about what they allow and they will reject your book for many unnamed reasons. Here are a few things that I figured out the hard way. Remove all multiple hard line returns. You may have inserted these to ensure there was pretty spacing between sections on a print or pdf version but iBook doesn’t like them. Use a hard page return, or a centre page option if you really must have large blank areas. Reduce all font sizes to less than 18 points. 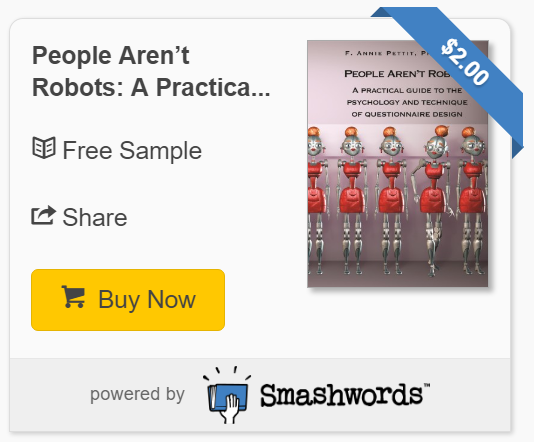 If your ebook includes images, create alt text for each of them. Right click on the image, select the “alt” option, and type something in there. Either describe what the image is or simply type a word like your name or book title. If your ebook includes tables, convert them into plain text and use tabs instead. Consider exchanging all the non-standard margins and page sizes for standard 8 by 11 sizes. How did you do all the formatting yourself? Download the templates that Createspace provides. The templates will make sure your page numbers are in the right spot, the spacing is right, the table of contents is right. You could, of course, do it all yourself from scratch but chances are you’ll give up in frustration and download the template anyways. The formatting can be tricky so don’t start until you’ve saved up a good portion of patience. Where did you get artwork for the cover page? Well, if your SO isn’t a fabulously talented artist, then you have a couple of really good options. First, take your own very high-res photograph and use that. Just be sure not include unwilling people or brand names without permission. Go generic with fruit and skies and animals and such. Second, Createspace has a great selection of images in the system that are free for you to use. Even better, all the images are the correct size and shape and resolution so you know it’s going to look great. How much do you have to sell the book for? It’s really up to you. For the paper version, Createspace will tell you to charge at least $X.X so as to cover their printing costs. So, if they tell you you must charge $3.00, then you can charge $3.00 and make 0 profit. Or, you can charge $4.00 and make $1 profit. But, when it comes to the digital version, you can sell your book for free if you wish. Or for $4.00 if you wish. It really is up to you. If you have any other questions, leave a comment below and I’ll answer them here. Have you noticed how boring and complicated some textbooks are? Have you spent night after sleepless night tossing and turning, desperately hoping someone would write a market research book that was fun to read? 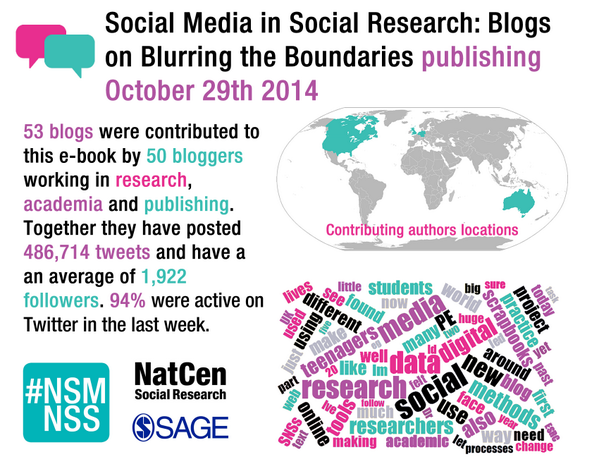 Have you been searching for something to help you learn more about social media research? The Listen Lady, a new book by moi, explains the technique of social media research in one of our favourite art forms – the non-fiction fiction novel! It covers advantages, disadvantages, sampling, data quality, variables, and more using plain language that business owners, marketers, and researchers can understand. And to lighten things up, it’s told as a story, not as a textbook. You can learn the technique for yourself by following along as a small business owner learns the technique for herself. Is it fun to read? Yes! Is it easy to understand? Yes! When can you buy it? Any day now! Curious what experts have to say about the book? Here are some early reviews. In just a few days, the Listen Lady will be available on Amazon.com, Kobo, B&N, Diesel, for Kindle, Sony readers, and, of course, in the iBookstore. To get the latest info including availability dates, like TheListenLady fan page on Facebook. Stay tuned for more info!